Theatre company, theatre venue and hub for people of all ages, background, origins, competences: theatre production and tour, art direction of ITC Teatro, workshops, local, national and international projects. 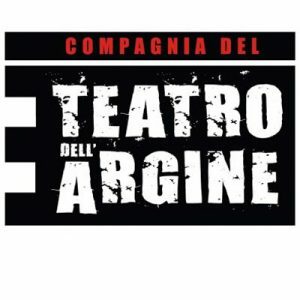 Teatro dell’Argine was founded in San Lazzaro (Bologna – IT) in 1994 with a project that is artistic, cultural, educational and social. Over the years, it has deeply rooted in its territory, while at the same time giving rise to projects and activities in Europe, Middle East, Africa, Central and South America. TdA’s project winds along four main lines, to support and promote intercultural and intergenerational dialogue, memory and reflection on contemporary times and active citizenship, often involving professionals and non-professionals, among which migrants and political refugees, kids and teenagers, as well as interdisciplinary experts: 1) production and circulation of shows; 2) artistic direction of Municipal Theatre of San Lazzaro ITC Teatro (30,000 spectators a year for prose and children’s theater season and various festivals); 3) theatre workshops and seminars (over 3,000 students a year, professionals and non professionals, 3 to 80 years old, inside and outside schools); 4) many special projects, including “Teatrobus” (small travelling theatre, to reach schools and suburbs) and international and intercultural projects, among which “Crossing Paths” (EU Culture Programme); “Acting Diversity” (ALF); “Lampedusa Mirrors” (Tandem Shaml programme); exchanges with Poland, Sweden, Denmark, UK, France and Palestine; “Exoduses project” (intercultural group composed by 50 young 15 to 25 years old, from 20 Countries, including asylum seekers and political refugees).